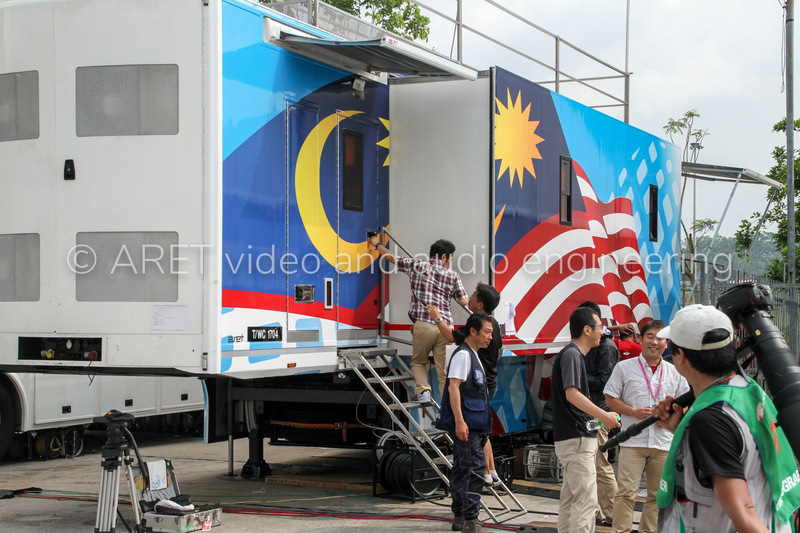 This fully expandable OB Van is designed for 16 HD cameras and it is equipped with the best technological solutions. 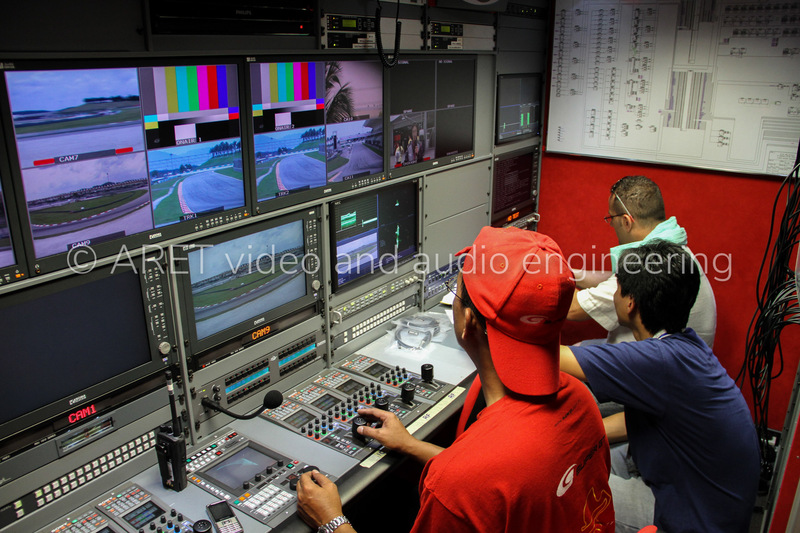 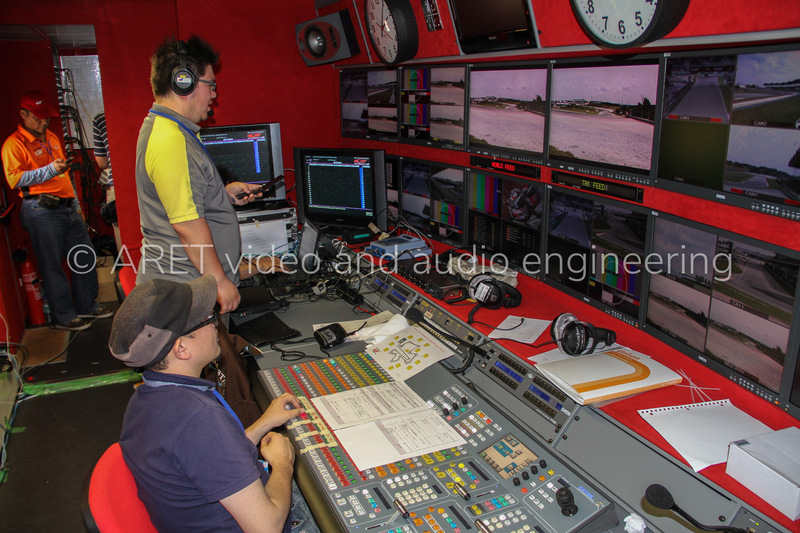 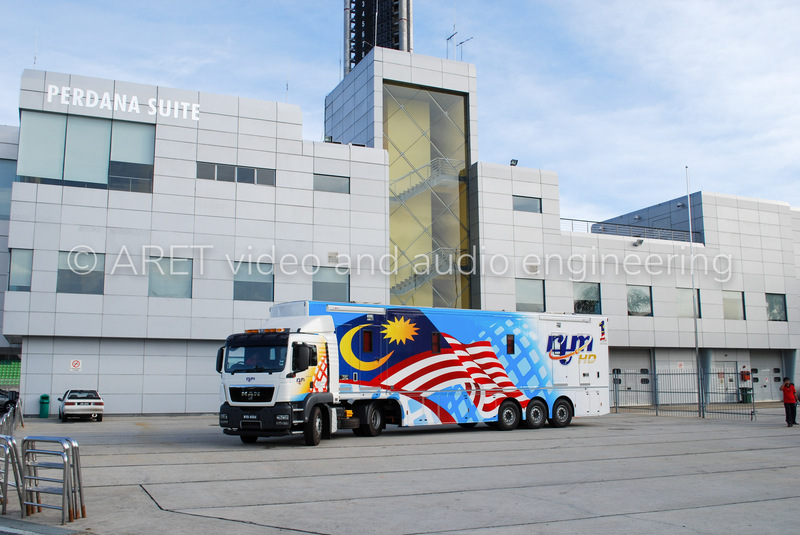 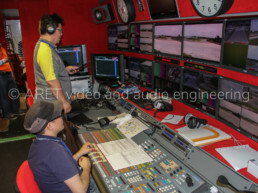 It has been designed to operate in a country with high humidity and harsh weather conditions, therefore the coachbuilding has been carried according to ARET’s wide experience in Outside Broadcast Vans by means of special construction techniques. 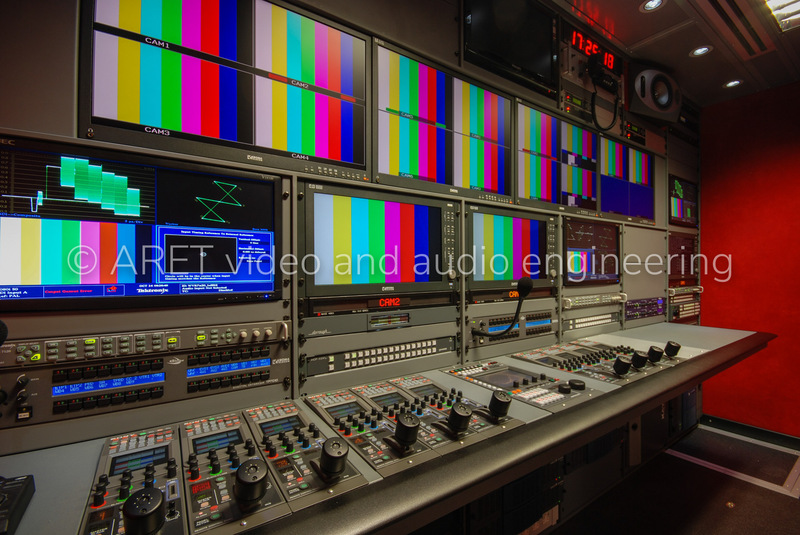 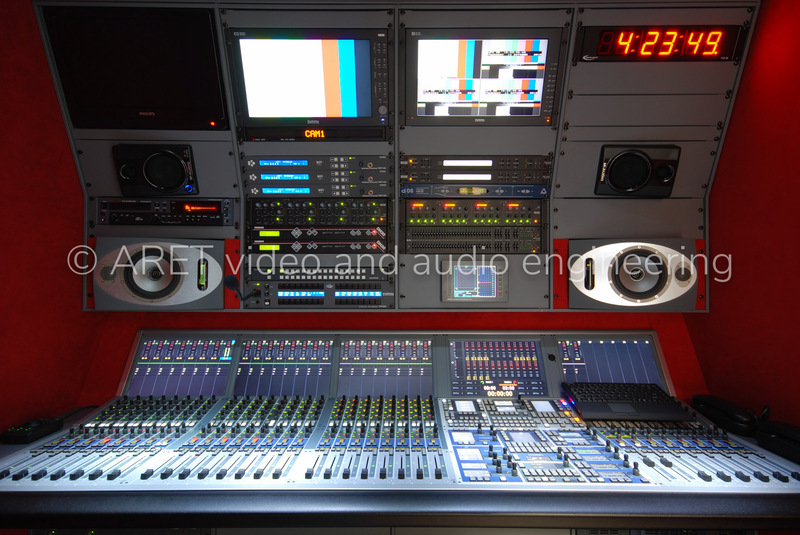 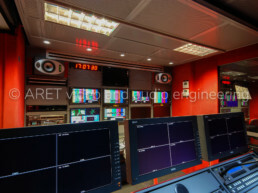 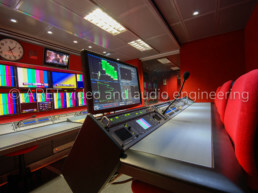 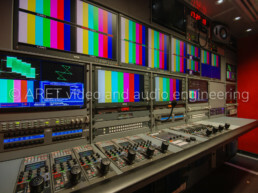 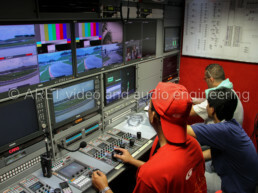 The layout of this OB trailer consists of four separate areas: an audio room, a large production room that features a semi-circular monitor wall, a vtr/slow-motion area, and an engineering room. 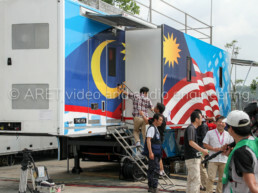 Both the production and the vtr/slow-motion rooms are easily expandable without any manual operation. 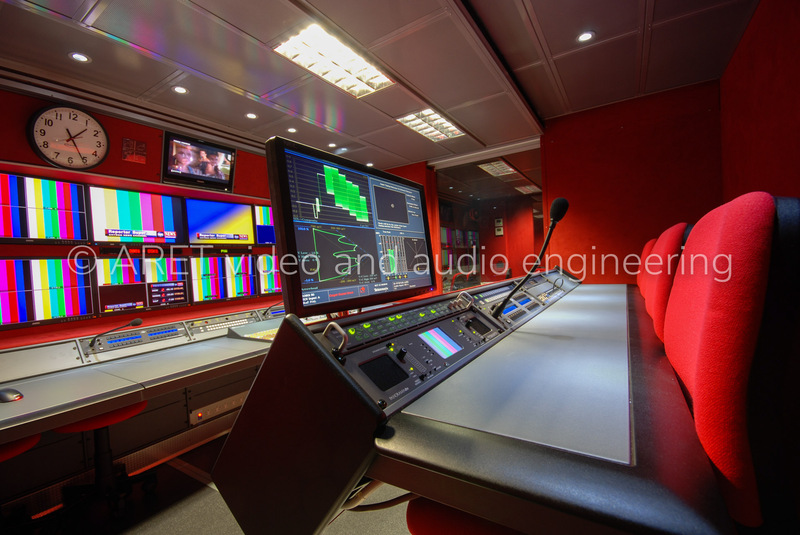 The full expansion of this Outside Broadcast trailer, together with other design solutions that maximize the OB Van internal volume, allow a wide operative space. 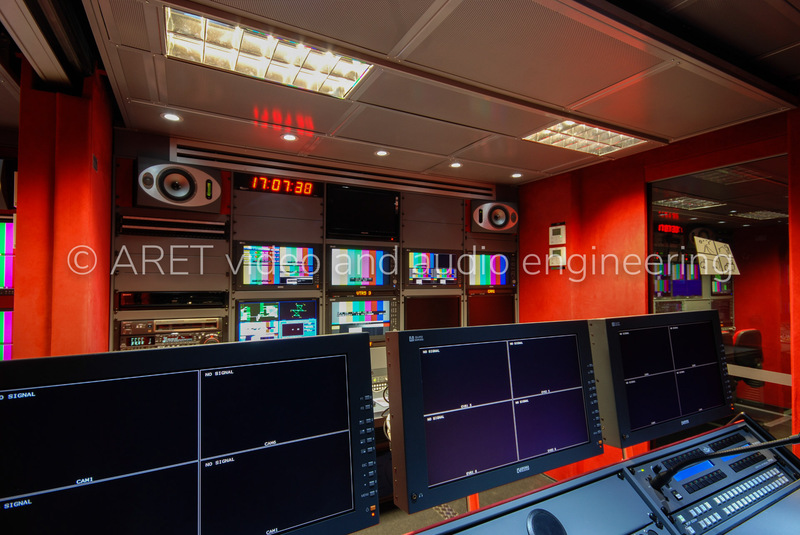 Each OB Van detail, such as cable drums, storage bays, internal and external lights are completely customized and designed based on the customer’s requirements, as per ARET philosophy.